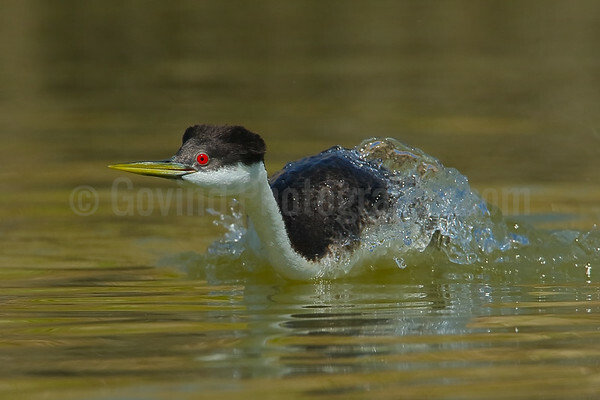 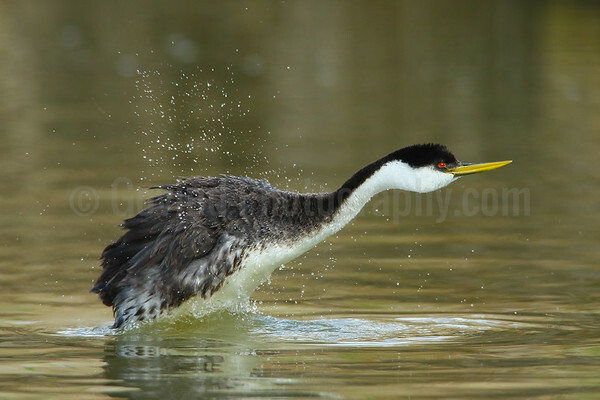 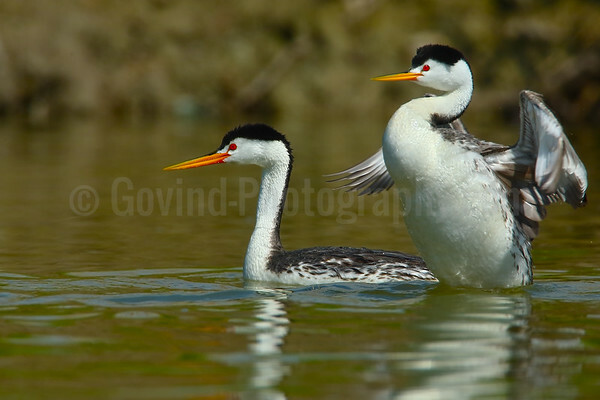 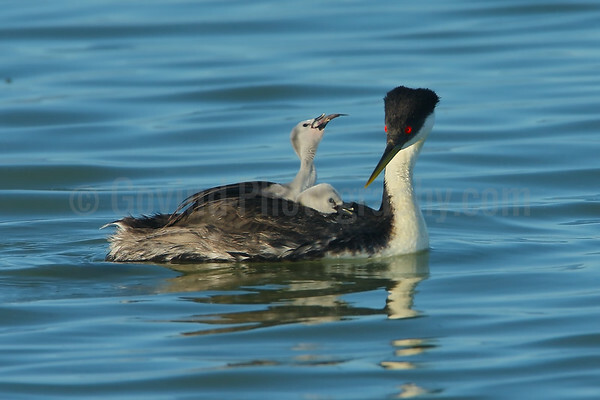 An western grebe chases after rivals in the course of courting. 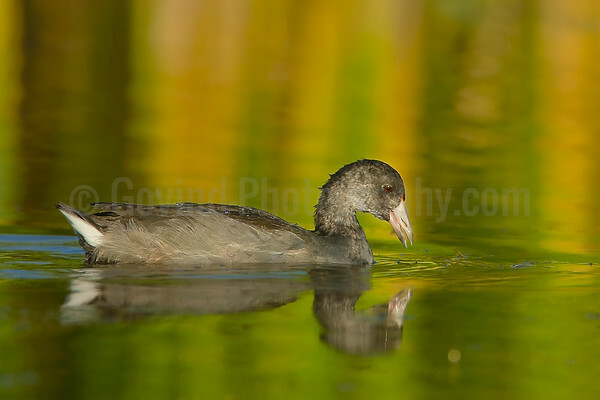 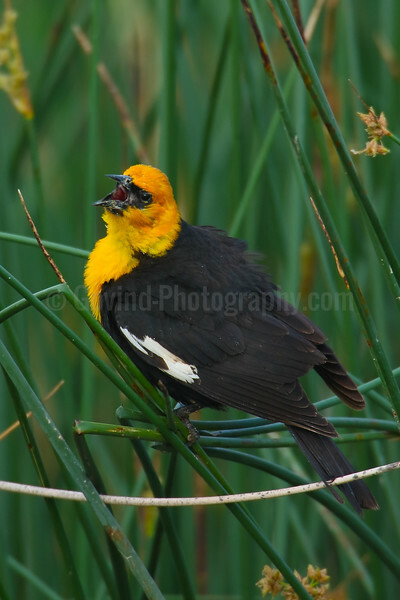 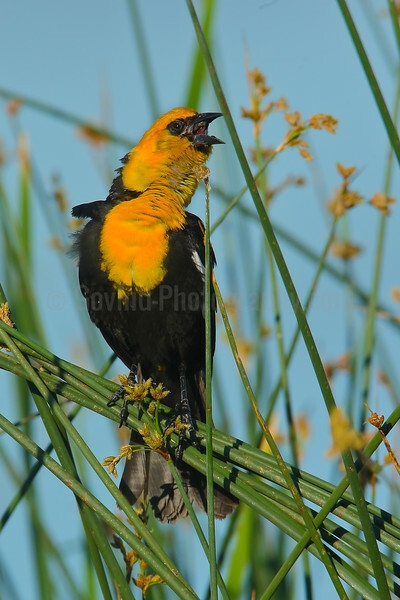 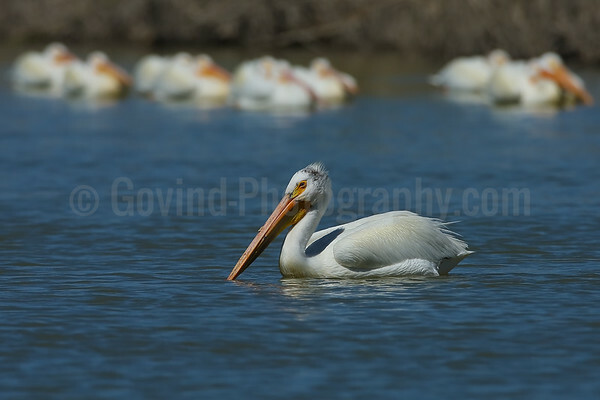 This was part of a larger group that had gathered in the morning to feed and socialize. 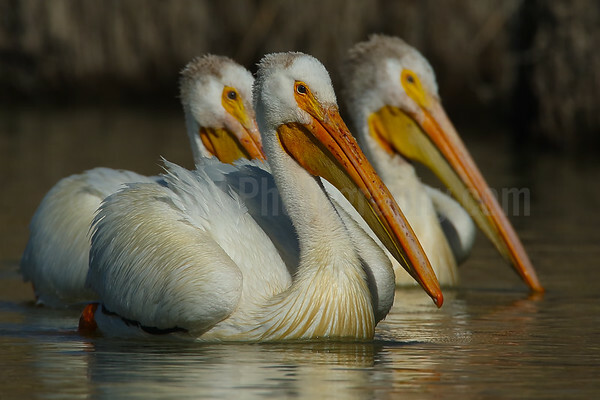 Grebes tend to move away from humans and it was a good one hour before these grebes got used to my presence and came close enough for me to photograph..
A trio of American white pelicans arrive at their feeding area I was captivated by the lighting, synchronous head angles and colors. 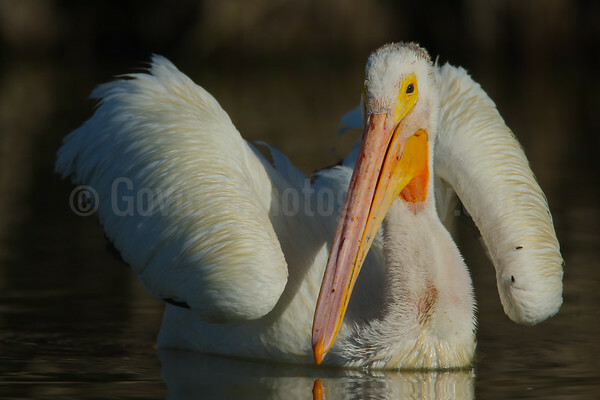 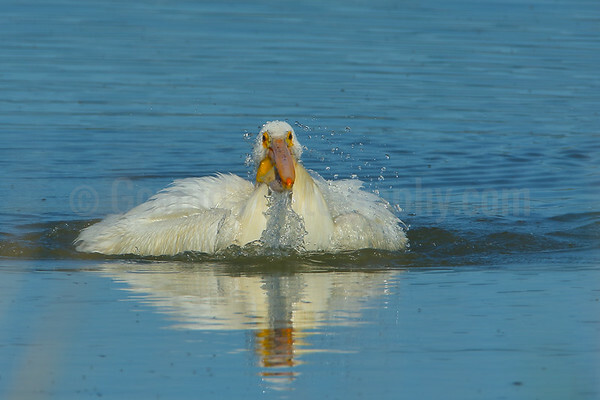 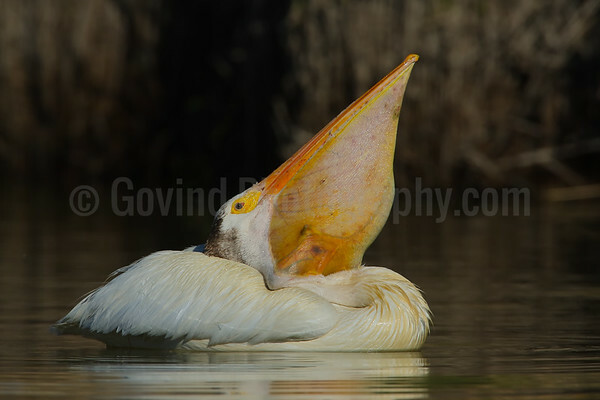 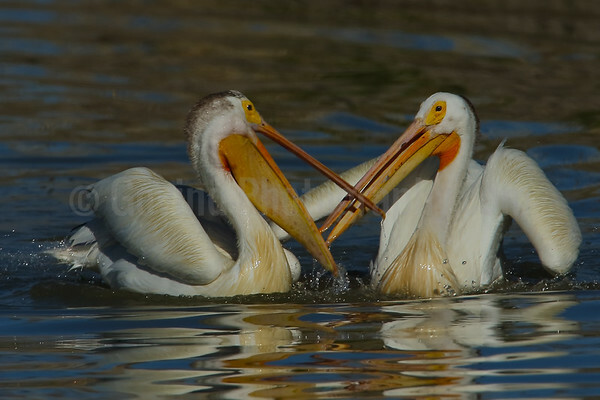 An American white pelican in the process of digesting a carp. 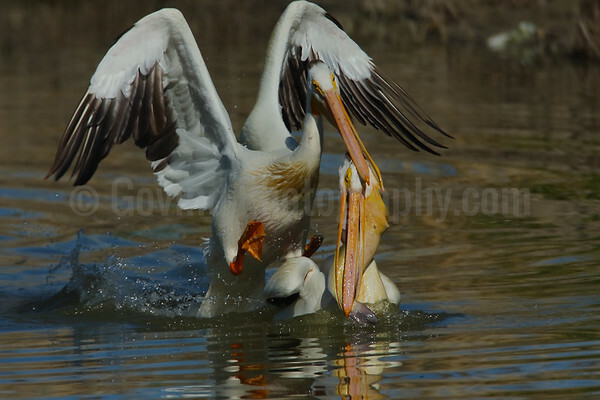 I observed the pelican holding on to the fish for well over an hour, during which it was continuously agitating its pouch. 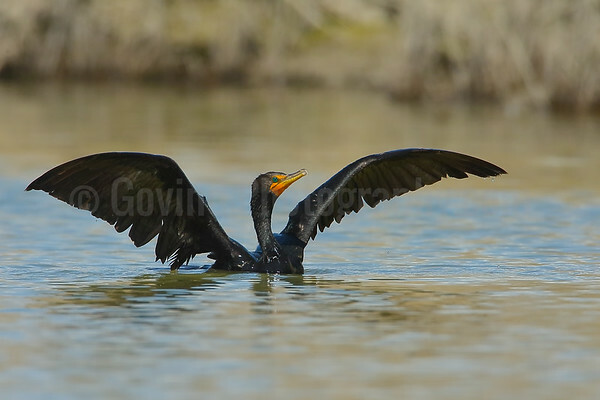 I like the dramatic pose enhanced by morning light. 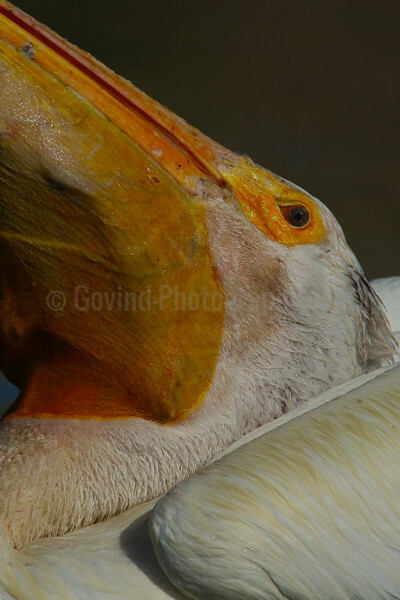 A closeup of pelican storing fish in its pouch. 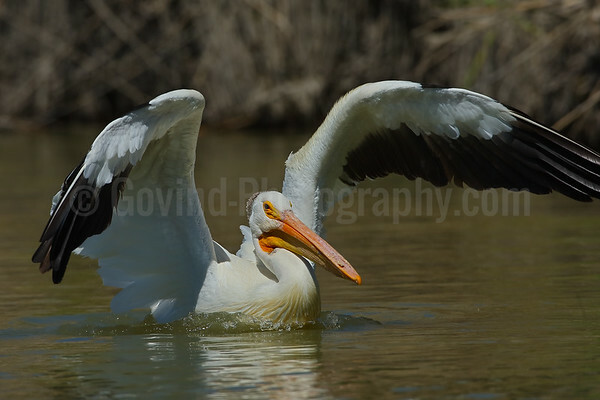 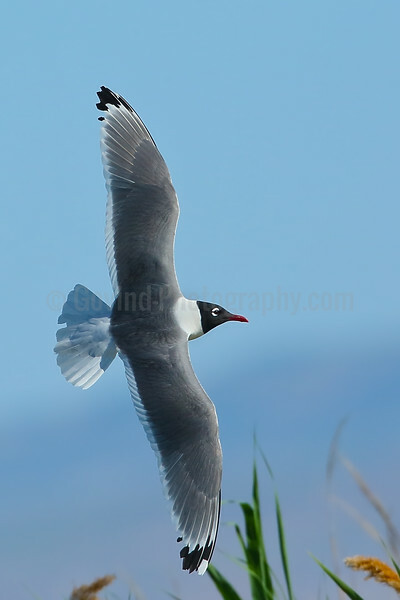 I was lucky that these majestic birds allowed me within a few feet of them as they were feeding, giving me several interesting photo ops. 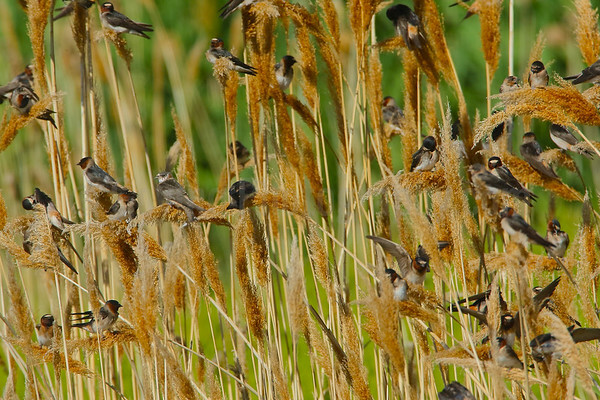 Cliff swallows gather on rushes to feed on the seed in late summer. 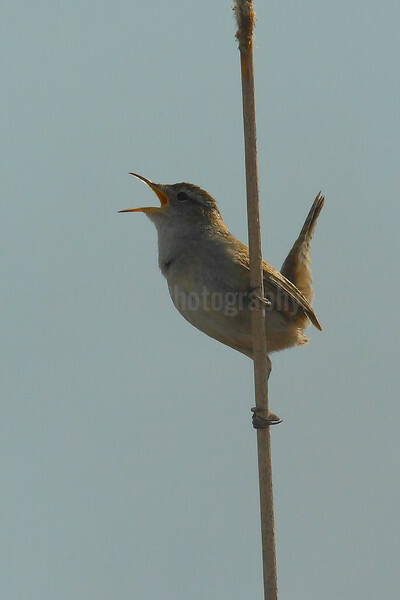 The flock of swallows number in the hundreds containing both mature and juveniles hatched earlier in the year. 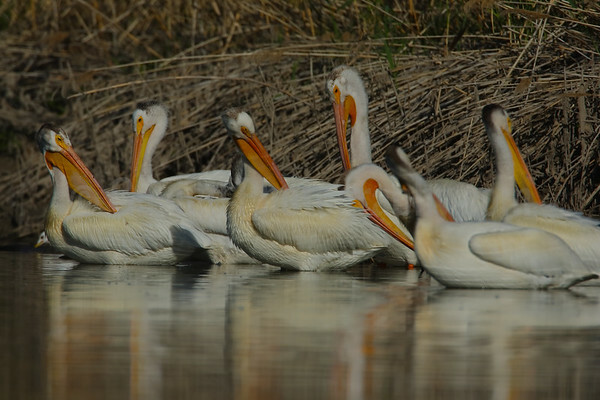 The last pelican in an earlier group approaches the feeding area as the next group gathers in the background. 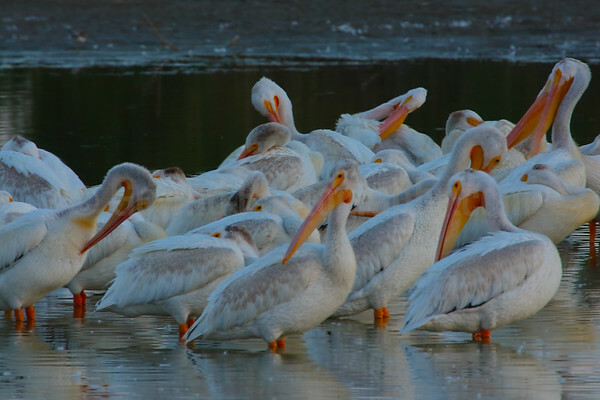 Pelicans come to feed in multiple smaller groups rather than one big group. 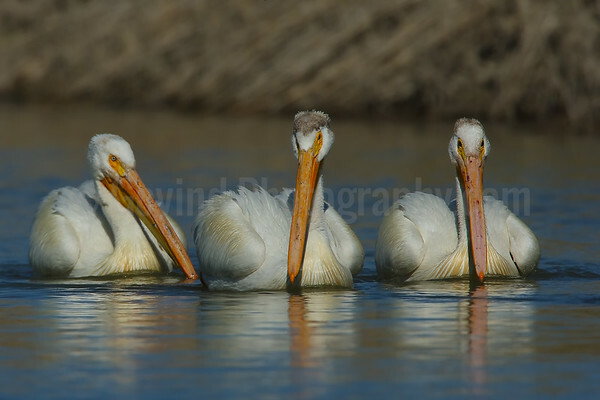 The solitary pelican in the foreground has the appearance of a general surveying his troupes before battle.